Reassessing the legitimacy of India’s reservations about the International Criminal Court. The 17th of July, 1998 will always be remembered as the day the Rome Statute was adopted and mainly, as the day when “two-thirds of humanity” chose to not adopt it. 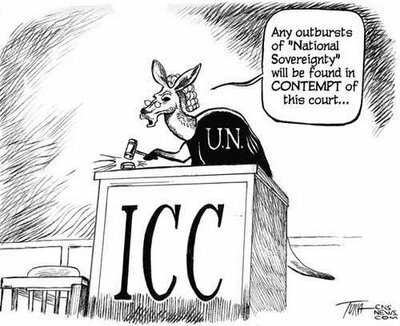 The ICC came into existence with these mixed sentiments and it is fair to say that almost 16 years on there is little hint of such emotions completely fading away; in large part due to countries such as India and China (almost One-third of humanity) showing no intentions of undertaking the journey to Rome. It is interesting that India played quite a significant role in the negotiation process prior to the conference before eventually abstaining during voting. India even pushed for the inclusion of the use of Nuclear Weapons as a crime and on a different front, envisaged no role for the Security Council in the functioning of the Court. These amendments were however excluded from the Statute after Norway raised a “No-action” motion which was triumphantly passed by 114 states. Although this development was overshadowed by the successful adoption of the Rome Statute, it was a watershed moment for India (one-sixth of humanity) and its relationship with the Court; as was spelt out clearly by Hon’ble Mr. Lahiri, the head of India’s delegation to the Conference. His speech at Rome, like Mark Antony’s was eloquent and effective. He praised the message of the conference and yet highlighted its failures. 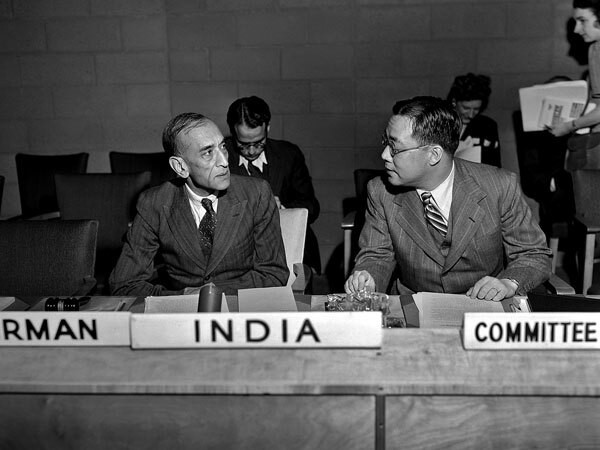 He spoke about India’s concern about the power given to the Security Council to refer and defer; India believed that this gave the Council virtually unbridled control over the Court. He congratulated the conference for the adoption of an historic statute and at the same time expressed his disappointment at the failure of the conference to criminalize the use of Nuclear Weapons; India believed this was tantamount to declaring that the use of these weapons was not a crime. Fast-Forward to 2014 and New Delhi’s concerns about the Statute have only increased. Added to the list now are fears about a madmax for a Prosecutor who might be out to make a career in politically implicating heads of state or military leaders. Also added to the list are reservations about the involvement of the Court in non-international armed conflicts. Given these developments, this is perhaps a good occasion to re-examine the legitimacy of concerns vis-a-vis the court, harboured by New Delhi. Much water has flown under the bridge since ’98 and the activities of the court in recent times surely contribute to undertaking this assessment. During the early years of the court, New Delhi’s concerns were at the receiving end of many a beating. Usha Ramanathan offered interesting views in this regard. She sought to lay siege to many of New Delhi’s perceptions about the ICC by aggressively tackling and responding to concerns about the ICC’s Prosecutor being given far-reaching and wide powers, the Security Council wielding its power in an unhealthy manner vis-a-vis, the Court, The ICC railroading national judicial systems etc. Mr.Lahiri himself alluded to why he believed that some of New Delhi’s concerns are a bit stretched as far as the role of the Security Council is concerned. Justice (Retd.) H. Suresh Hegde highlighted the relevance of the ICC in ending impunity; he cited instances such as Gujarat in support of his assertion. Inspite of these criticisms and many more chastising experiences, New Delhi held firm. As recent as 2010, during the 1st Review Conference of the International Criminal Court in Kampala, I had the opportunity of interacting with the top brass of New Delhi. I found that New Delhi’s concerns about the court had anything but faded away. On a closer examination of the situation, I noticed interesting developments. While criticisms of New Delhi’s policy vis-a-vis the Court might have been well placed at the time when they were made several recent activities of the Court appear to suggest that they are somewhat misplaced in the current scenario. It is no secret that the Prosecutor’s office (OTP) is not the same as it was in ’98. What started off as a strong unit in the fight against impunity has 16 years on managed to convict one accused and spend well over the combined GDP of a few counties in the process. Marred by troubles along the way, questions soon began to be asked not only about the cost of international criminal justice but also about the low conviction rate and the credibility of the OTP as an institution in the fight against impunity. However, it is the period between 2007-12 that proved to be one of the most challenging for the office. The Pre and Post election violence in Kenya served as a catalyst for activism by the OTP. Eager to prove that it could pack a punch if provided with the necessary support and co-operation, a somewhat enthusiastic Prosecutor implicated 6 leaders for the crimes committed pre and post elections in Kenya. 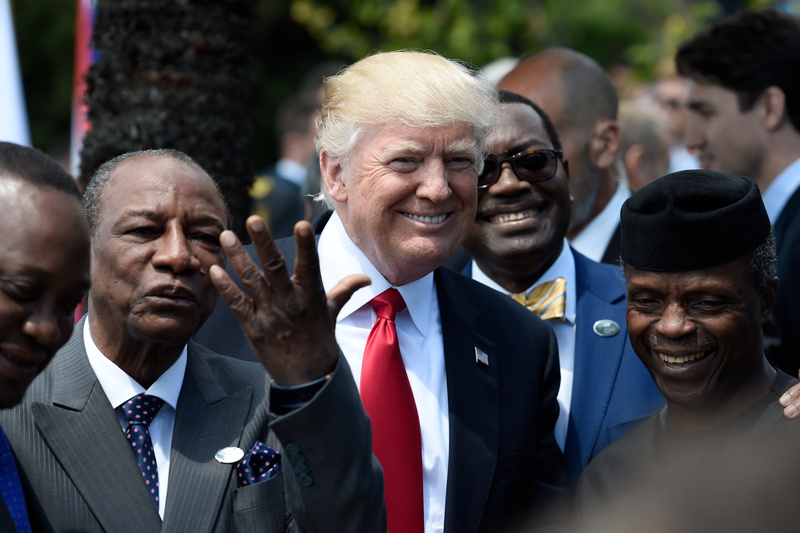 My interactions with him suggested to me that he perceived the situation in Kenya as one where peace could be restored and at the same time one which the office could use to hit back at critics; perhaps his aggressive media policy and extremely public stance on the situation lends credence to this notion. Reality struck however when in January 2012, Ex Police Chief of Kenya Maj. Gen. Ali and Industrialization minister Kosgey two of the accused were acquitted of all charges in the confirmation of charges judgment. I also had the opportunity of working with the office a little before and after judgment. Unsurprisingly we did not appeal against either of these acquittals. These developments raise several important questions. In all the criticism that has been levelled at New Delhi, a factor that has almost been taken for granted is the success of the International Criminal Court, the efficiency and reasonability of the Office of the Prosecutor and above all, the notion that the ICC can at anytime wave the magic wand in its fight against impunity. It is perhaps time to reassess these notions. Let it never be forgotten that the court was designed to adjudicate over only the most serious of crimes and try only those that bear the greatest responsibility for such crimes and that too only after national systems have failed; it is a truism to suggest that being implicated by the court brings about almost irreversible consequences for the accused as well as the nation. These persons are effectively marked for the rest of their career in politics, government and public service. The nation faces international sanction for an indefinite period of time or atleast till the trials have been completed and often runs the risk of being quarantined, isolated and left out of most activities in the international polity should it fail to act as asked. It appears that the Prosecutor blinded by the urge to hit back at critics and prove a point to the contributing nations, had little regard for such sensitivities when he implicated Ali and Kosgey. After Mr. Ocampo resigned, rumours soon started doing the rounds that Kenya was a knee jerk reaction by the office to ward of increasing pressure from the funding nations who expected the office to act decisively and swiftly, completely undisturbed be the fact that evidence against a few accused was hardly forth-coming. The Court is far from a perfect institution and for a country like India, opting into it is more a compromise than an advantage. Practicality and politically speaking, New Delhi signing or not signing the Rome Statute is of little significance. Its leaders will never be implicated by the Court. However more principle considerations ought to guide New Delhi’s decision in this regard. There is no need for New Delhi to opt into an institution whose imperfections have similar if not the same catastrophic impact on justice as the problems plaguing New Delhi’s own judicial systems do. The Kenya situation has if anything actually revealed that those worried about sanity of the Prosecutor can boast of a rough sense of justice in their claim. Becoming a party to the court, implicitly making peace with the fact that there exists a body which can sit in appeal over the decisions of the Supreme Court and contributing large portions of money towards the trial and leisure of the accused at the detention centre at Hague may have still seemed attractive if the Court was an excellent fountain of justice. Unfortunately, it appears that signing the Rome Statue is rather a move from the imperfections of national criminal justice to those of international criminal justice, not to mention the fact that subscribing to a faulty judicial institution, does not speak much about the country’s own system. New Delhi could much rather use the money to address imperfections within, especially given that it will always have more control over its internal justice system that the ICC prosecutor; even after becoming a party to the ICC, there is very little or no influence New Delhi can exercise over the OTP. Furthermore, while imperfections in a national criminal justice system can at certain times be put down to lack of funds etc, there is simply no excuse for imperfections in a system that consumes, as mentioned before, more money than the combined GDP of a few nations. This phenomenon casts serious aspersions on the concept of a Permanent International Criminal Court and there is no need for New Delhi to associate itself with such an institution. The last point that needs to be mentioned in this regard is that the Prosecutor of the ICC appears to be guided more by political machinations than objective evaluations; making the Court an institution which reeks of hypocrisy. As confounding as the decision to Prosecute without discretion in Kenya is the decision to not prosecute in Bangladesh. As recent as Feb, 2014, several important organizations, lawyers and civil society groups moved the Prosecutor’s office in this regard and in their communications provided what they believed to be compelling evidence of crimes against humanity, extra-judicial killings and other crimes being committed by the Sheikh Hasina government. The same office that went out of its way and (and powers) to implicate leaders in Kenya is yet to provide a response to the atrocities in Bangladesh. While most nations who are not a party to the Rome Staute have voiced serious concerns about the Suo Moto power given to the Prosecutor to initiate investigations, never would they have divined that one day they would also have to be concerned about the non-use of this power; the office has struggled to understand the boundaries of this discretionary power; One of the reasons for vesting this power in the Prosecutor was the guaranteeing of the Court’s independence in the event of state party in question or the Security Council thwarting any attempts on the part of the court to investigate a ‘situation’. It appears that the Prosecutor has in the case of Bangladesh, turned this power on its head; making the court dispense more calculated justice and less generous justice. New Delhi would do well to not put itself in a situation where it signs up for the latter but is asked to contribute funds to the former. Owing to this phenomenon of selective justice, big question marks also remain over the image of the prosecutor’s office as a bona fide institution. It is widely perceived by many African nations that the court is an institution established solely to prosecute their leaders. My interactions with the leaders of East African nations at the PGA conference in Kampala also confirmed this sentiment. 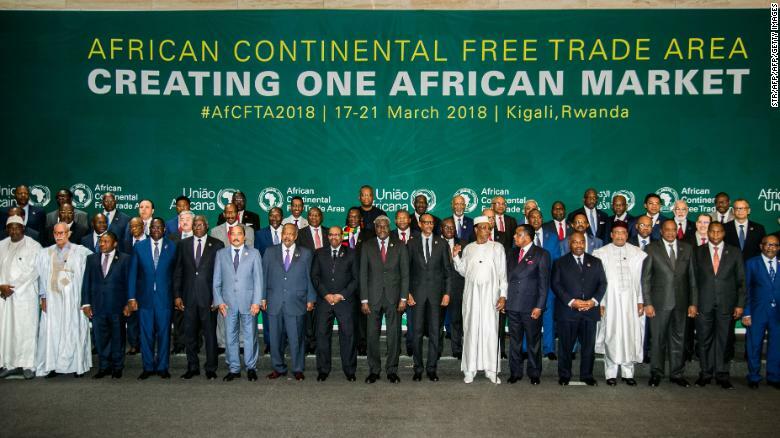 As recent as a few months back, rumours had been doing the rounds that the possibility of all AU nations withdrawing from the court would be discussed at the annual AU conference. The AU is one of the most important cogs in India’s wheel as far as the latter’s push for a permanent seat in the Security Council is concerned. New Delhi has everything to lose and little to gain if it is found siding with and funding a Prosecutor’s office whose double standards in the prosecution of grievous crimes are often passed off as the office respecting the sovereignty of states and thus investigating only the most-serious situations. Critics who suggested that New Delhi was exaggerating the situation with the office of the prosecutor appear to have been answered by New Delhi’s far sighted policy in ’98. Although this policy cannot be credited for pre-empting the situation that the ICC’s Prosecution Office finds itself in today, it none the less appears that the policy had foreseen certain fundamental fallacies in the structure and get up of the office that would not only make it incompatible with the demands of a permanent international criminal court but also a victim of the polity that established the court. Rome is indeed a long way from home. Concerns regarding the role of the Security Council, the involvement of the Court in NIACs, the failure to criminalize Nuclear Weapons etc will be addressed at in subsequent articles.